North Westmorland Arts Appleby Concerts – Methera. If you didn’t catch them when they made their Appleby debut 2 years ago, make a note in your diary for their return visit. Spirited, original, fresh and completely engaging. Four randomly applicable adjectives out of a duffel bag-full to choose from. 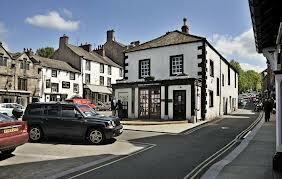 To stay at the George Hotel in Penrith, just a short drive from the concert, please call 0800 840 1242.